Author’s note: First, I want to give my thanks to Ms Tarie Sabido of Asia in the Heart, World on the Mind, where I won a copy of this book in a book giveaway she hosted. “Rush hour. So many armpits, so little deodorants.” So begins Tall Story, Candy Gourlay’s fantastic debut novel about basketball, sibling love, cultural differences, legend and magic. A poignant tale that warns us of the dangers of the things we wish for and that ultimately, size doesn’t really matter. Andi is a basketball-obsessed, 13 year old, half-Filipino who wishes nothing more than to be her school team’s point guard. But the bad thing is she’s the shortest in her class and London, where she lives, is a place that’s not so crazy with shooting hoops. Disheartened though she is with these nasty dilemmas, she remains persistent to get what she wants, despite things, as of the moment, are not really working well for her. Still, a ray of hope remains to be looked forward to: in a few days’ time her half brother from the other side of the world will finally arrive. Oh, how she wishes that he’s into basketball, too. Years of waiting had lastly granted the Jones family’s wish and that Andi will now have a big brother. Then, on the big day a huge surprise caught the Jones off guard. “Bernardo is a giant,” Andi says. After patiently waiting for years, Bernardo finally made it to England from the small town of San Andres in the Philippines; his long time wish of being with his mother will at last come true. But certain events seem to prevent this from happening. For one, how can he explain his sudden growth of up to eight feet to his Mum? That he can easily deal with. What worries Bernardo no end is the time when he leaves San Andres, for the locals regard him as the modern day incarnation of Bernardo Carpio, a legendary hero said to protect them against deadly earthquakes that plagued the town since time immemorial. With Nardo’s imminent departure, villagers are once again afraid that violent tremors would once again strike. Besides this, Nardo is also haunted by a tragic secret from the past and a mysterious illness that will slowly unravel upon his arrival in London. 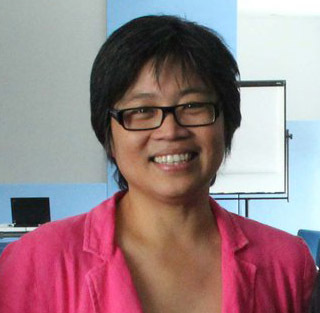 Candy Gourlay’s voice is a refreshing breath of air, writing in an accessible, kid-friendly, charming style peppered with comic wit. The plot can be easily followed through alternating point of views of Nardo and Andi, and though the story often use backflashes in telling Nardo’s life in the Philippines before his arrival in London, it effectively moves and enhances the unfolding narrative thread. I think one of the book’s amazing feats is Gourlay’s deft handling of dialogue, giving Andi and Nardo their distinct voices rendering them not only with a three dimensional feel with their individual quirks, but also earning the reader’s sympathy as we come into terms with their individual struggles. The language is spot on as Gourlay moves from Filipino to English and colorfully distinguishes Nardo’s timid, introspection with Andi’s slick, wisecracking observations. What’s spectacular with Tall Story is its literary juggling act as it tackles topics that range from superstition and science, the real and the magical, tall and short, of the difference between things that we want and things that really matters most — a hodgepodge that makes it a fitting whole. More than being a heartwarming story, Tall Story also comments on such timely social and familial problems such as poverty and corruption, immigration and integration, cultural identity and differences, sibling relationship and the sacrifices that a family has to go through when one member is forced to work abroad. Just like Ilustrado, Tall Story once again confirmed my firm belief that Filipino fiction has indeed arrived on the global literary center stage; that this book originally published by the renowned David Fickling Books (DFB) is enough validation alone. I’m equally thrilled how much stories out there are just waiting to be discovered. Certainly, I’ll be one of those who will eagerly await its coming. 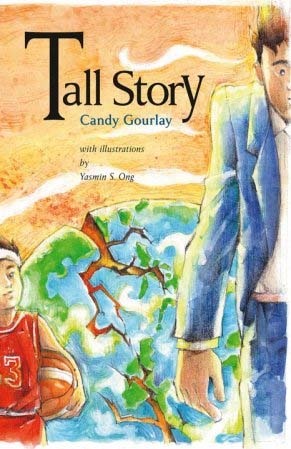 Tall Story is a light and heartwarming novel for readers of all ages. 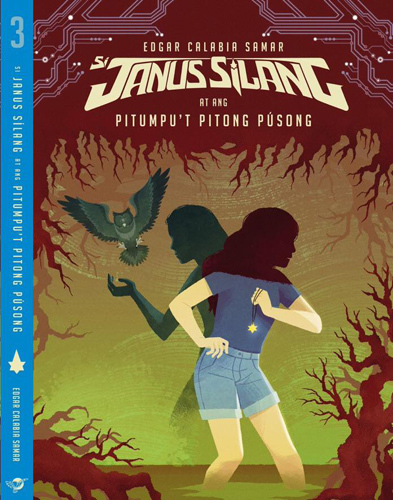 More than an educational and funny story of a brother and a sister, it doesn’t only just give us a glimpse of what the Philippines is as a country, but also the potential it holds as a key player in international literature. Truly, size doesn’t really matter, eh. And wow, this is an excellent review of Candy’s book!